Description: "Liana or scandent shrub, which attains 15 m in length. Stems cylindrical, up to 2.5 cm in diameter, densely spiny. 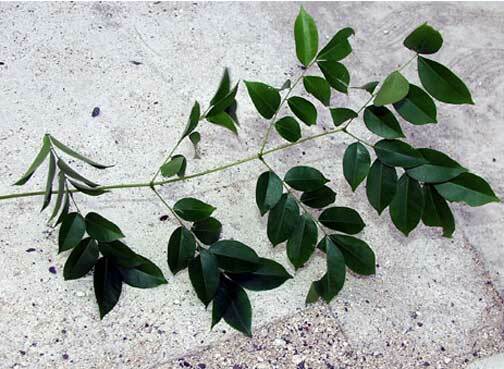 Leaves bipinnate, paripinnate, up to 60 cm long; pinnae 3-10 pairs, opposite; leaflets 4-8 pairs per pinna, opposite, 3.5-7.7 × 2.5-3.7 cm, elliptical, ovate, or oblong, chartaceous, glabrous or puberulent, the apex obtuse or acute, mucronate, the base unequal, rounded, or one side obtuse, the margins entire, revolute, ciliate; upper surface glabrous, slightly /shiny; lower surface with the midvein prominent, glabrous or puberulent; petiolules short, puberulent; petioles and rachis spiny, puberulent; stipules minute, deciduous. Flowers in axillary racemes, up to 30 cm long; rachis tomentulose, unarmed; bracts lanceolate, long-acuminate, ca. 1 cm long, deciduous. Calyx campanulate, 6-7 mm long, tomentose, the sepals reflexed, oblong. Petals yellow, 6-7 mm long, spathulate; stamens 10, the filaments unequal, shorter than the petals; ovary pubescent, the style and stigma glabrous. 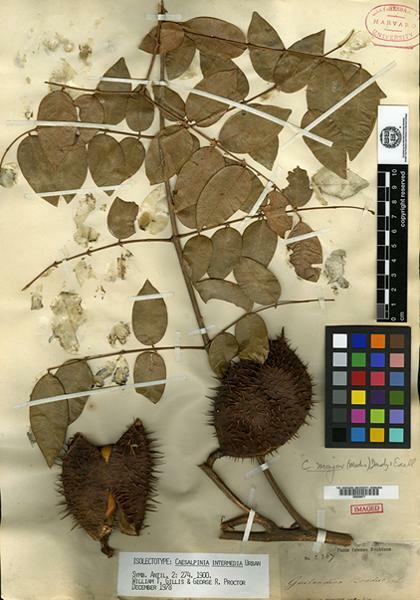 Legumes broadly oblong, 6-12 × 3-6 cm, sparsely spiny. Seeds ovoid or rounded, 1.5-2.5 cm long, yellow-orange." (Vines and Climbing Plants of PR/VI, pp. 235 & 237) [emphasis added by PIER]. Impacts and invaded habitats: No invaded habitats or impacts are currently known by PIER. If you know of invaded habitats or impacts, please let us know. 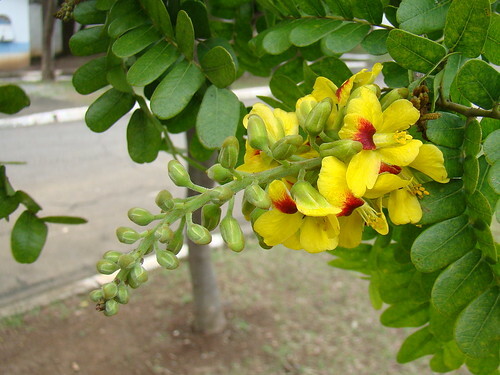 Control: If you know of control methods for Caesalpinia major, please let us know. This page was created on 12 SEP 2017 and was last updated on 16 SEP 2018.